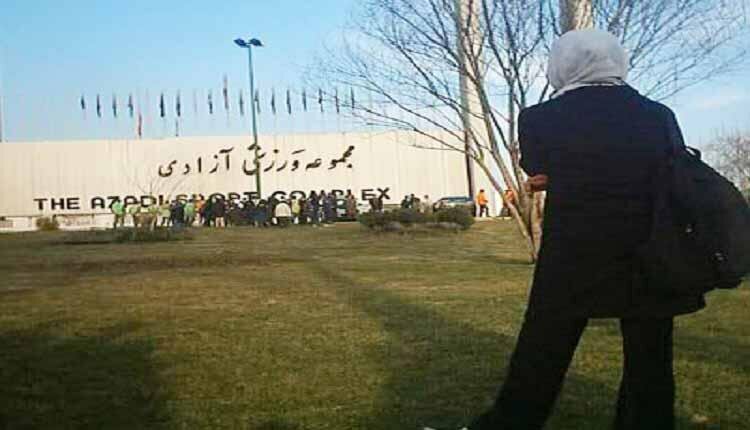 Two young women were arrested on Friday, April 27, 2018, in Isfahan, central Iran for attempting to enter the Naghsh-e Jahan Stadium to watch the match between their favorite football teams. Iranian authorities on the same day detained two other young women and a teen girl for trying to attend a football match in Tehran’s gigantic Azadi Stadium, the state-run Fars news agency reported on April 27, 2018. Five other young woman dressed in boys’ outfit posing as men could manage to get through the gates of the football stadium to watch their favorite team’s match. In this way, their dreams came true in a country where women are banned from entering sports stadiums. Iranian women are allowed to watch women’s football matches, but not matches played by men. Based on the fatwa in December 2017 of mullah Makarem Shirazi, the issue of lifting the ban on women’s entry and presence in stadiums has been removed from the agenda of the Supreme Revolutionary Cultural Council, for good. Women in Iran however have been fighting for an end to the discriminatory rules in the past years. Last year, women made headlines on March 1, 2017, as they attempted to enter Azadi Stadium to watch the game between Iran’s top teams. The State Security forces prevented entry of 35 women and held them in detention.